(L-R)Martin Luther King III, Rev. 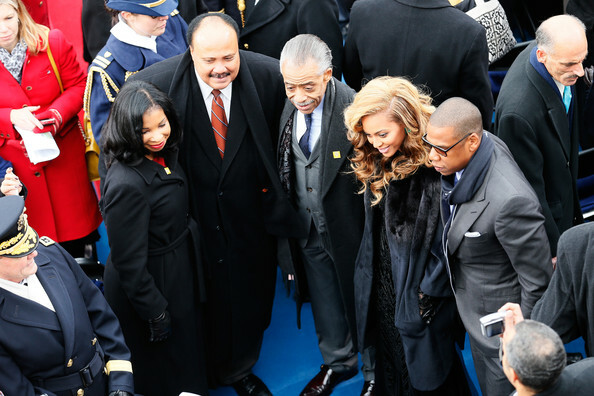 Al Sharpton, Beyonce and Jay-Z pose for a photo during the public ceremonial inauguration for U.S. President Barack Obama on the West Front of the U.S. Capitol January 21, 2013 in Washington, DC. Barack Obama was re-elected for a second term as President of the United States.